Medium: 1 print (poster) : woodblock, color. 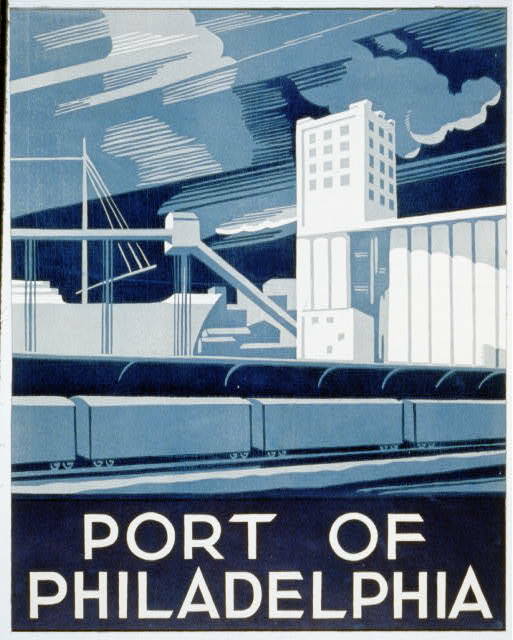 Summary: Poster promoting Philadelphia, showing railroad freight cars at the Port of Philadelphia. Date stamped on verso: Nov 6 1936.